Routelines was inspired by data. After working on several recent data visualization projects focusing on open data, I got the itch to create something physical to which everyone could instantly relate. Roads are everywhere. We travel them daily and rarely give them a second thought. They outline our neighborhoods and cities and sometimes define cultural boundaries. They're usually only visible on maps, covered by labels and accompanied by landmarks. I wanted to see what they look like on their own. Each city appears to have its own personality and sub-personalities based on patterns drawn by its roads. Whether or not these personalities coincide with its culture is something I leave to the viewers. Routelines posters comprise a tremendous amount of data. Each poster showcases every road of a city—no matter how small. The posters are formatted to include an entire city's official boundaries. * Roads from surrounding areas are included to complete the picture. After all, roads don't stop at city boundaries. 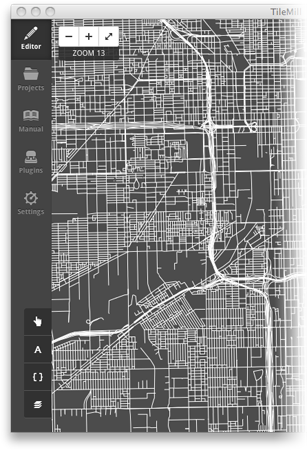 Data comes in the form of shapefiles, which are imported into TileMill, an excellent free mapping tool from MapBox. TileMill supports Carto, a CSS-like language for defining the look and feel of data. 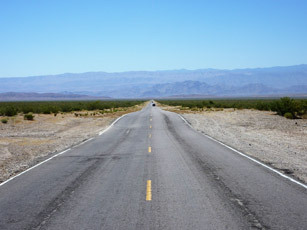 Once the roads are stylized, they are exported as super high-resolution images and imported into Adobe InDesign where final look and layout are determined before publishing. United States road data comes from TIGER/Line® Shapefiles, freely available from the United States Census Bureau. These public domain files are broken down by county and geographic shapes. Data for the rest of the world comes from the free files available on GEOFABRIK and CloudMade, which prepare OpenStreetMap data into manageable chunks. Map data outside the US is © OpenStreetMap contributors, CC BY-SA. *Due to the large boundaries of some cities, only the major metropolitan area is shown to keep them interesting. Nick Rougeux is a web designer living in Chicago and enjoys creating art. Follow on Twitter @rougeux or see more work his personal site, C82.